Enjoy an effective low-impact aerobic workout in your home with the Stamina 4825 recumbent stationary bike with smooth, silent magnetic resistance--a great tool for increasing your metabolism for more efficient calorie and fat burning without the impact on your joints. It's designed to put you in a semi-reclined position so you work all the major muscles in your hips, thighs, and buttocks. Its adjustable, padded, molded seat with seatback keeps you in the correct position while you exercise so you get the best workout possible. The Stamina Programmable Magnetic 4825 easy-to-use InTouch exercise monitor--with one-button control and large LCD screen--provides six preset fitness programs with a pace guide as well as a unique user interactive target zone feature. The programs set speed targets that change throughout the program, and the target zone display will tell you if your speed is too fast or too slow. If you pedal too slowly, the speed indicator will drift toward the fast zone reminding you to pedal faster. When you pedal faster, it will drift back to the target zone. In addition, if you are pedaling too fast the speed indicator will drift toward the slow zone reminding you to slow down your pedaling. 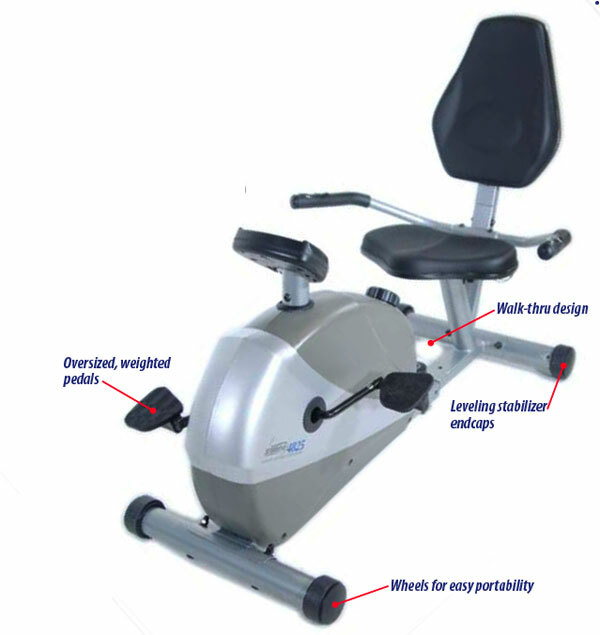 The Stamina Programmable Magnetic 4825 Exercise Bike with its walk-thru design is easy to get on and off. Its adjustable, padded, molded seat with seatback keeps you in the correct position while you exercise so you get the best workout possible. The InTouch monitor keeps you motivated by tracking workout time, speed, distance, and calories burned. 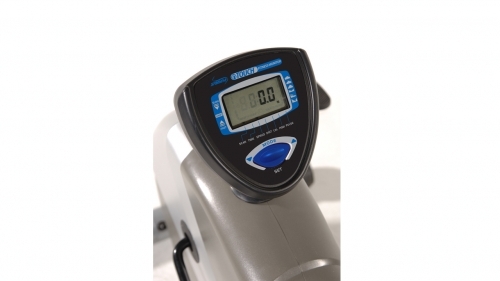 The simple one-button control makes it easy to use and the large LCD display makes it easy to read. With the Stamina Programmable Magnetic 4825 Exercise Bike you can choose from six preset fitness programs with a pace guide. This computer offers a unique user interactive target zone feature. You have the option of interacting with any of six different programs to achieve a workout that is fun and exhilarating as these programs set speed targets that change throughout the program. The target zone display will tell you if your speed is too fast or too slow. If you pedal too slowly, the speed indicator will drift toward the fast zone reminding you to pedal faster. When you pedal faster, it will drift back to the target zone. In addition, if you are pedaling too fast the speed indicator will drift toward the slow zone reminding you to slow down your pedaling. Call 1-800-875-9145 or Go to FitnessZone.com to order your Stamina Programmable Magnetic 4825 Exercise Bike from FitnessZone.com today! 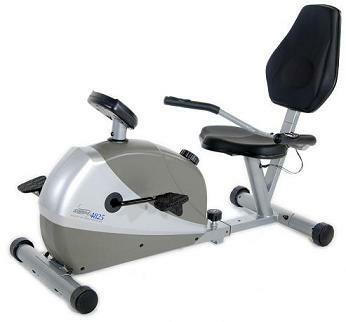 Order your Stamina Programmable Magnetic 4825 Exercise Bike from FitnessZone.com today!